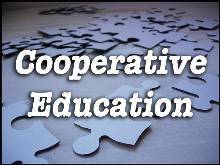 Cooperative Education (Co-op Ed) helps students apply classroom knowledge and theory to practical work situations via a paid or volunteer employment position that is related to the student's classroom study, educational, and career goals. The Cooperative Education program is a requirement for all students who earn an Associate in Technical Arts Degree. Enhances classroom learning by integrating academic curriculum and real-world occupational experience. Confirms or redirects students' career decision-making through on-the-job experience in a chosen field. Improves job opportunities by giving students valuable work experience and contact with potential future employers. Teaches valuable job-search skills such as career assessment, resume writing and interviewing techniques. Encourages completion of college for all students - from top performers to traditionally non-college bound students – by linking school to work and by providing networking links to future careers. Providing an excellent pool of well-prepared employees. Improving your hiring process by using actual on-the-job performance as a basis for permanent hiring decisions. Increasing cost-effectiveness of recruitment and training? Employers can save costs to identify and train personnel. Improving workforce diversity through access to minority students for permanent employment. 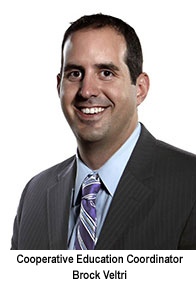 Enhancing human resource flexibility with effective short-term employees. Strengthening company relations with colleges and students. These steps apply to the following professional/technical program majors: AT 199, BMT-199, CAHM 199, CIS 199, CJ-199, DSL 199, ECE-199, ENVC 199, ET-199, HFT-199, MIT-199, MT-199, OFTEC 199, WT 199, etc. FIRE, HSERV, & PARLG students should consult with their respective faculty about their Cooperative Education requirements. ECE-199 students will turn in their assignments to the ECE Department for grading. Whidbey Island students may contact the MV Co-op Ed Coordinator for additional guidance. The general requirement is 50 work hours per credit for Cooperative Education. These hours can be obtained at the selected work site or can be reduced by participating in the Weekly Online Discussion Board. 50 hours of work per credit WITHOUT the online Weekly Discussion. 30 Hours/Credit Option: One credit is awarded for every 30 hours of work during the academic quarter. For example, a student taking a three-credit Co-op199 class must work 90 hours over a 10-week academic quarter. That averages to nine work hours per week. Students choosing this option must also participate in the online Weekly Discussion Board facilitated by the Co-op Ed Coordinator via Moodle. 50 Hours/Credit Option: One credit is awarded for every 50 hours of work during the academic quarter. For example, a student taking a three-credit Co-op 199 class must work 150 hours over a 10-week quarter. That averages to 15 work hours per week. Students choosing this option are not required to participate in the weekly discussion. Instead, they will submit a mid-term paper about their work experience. Because of the intense technical nature of computer information systems, CIS-199 students are asked to complete 50 hours of work for each credit but may still choose between the mid-term paper and the online Weekly Discussion Board. Cooperative Education students must find their own work placements. Talk to faculty: They have many contacts in the business community and can often provide you with great ideas and suggestions to find a place to work. Find a company you'd like to work for: Check the yellow pages and ask other students, friends or associates to suggest good places for you to learn your trade. Once you find an organization you'd like to work for, contact them for an informational interview. Tell them you are a college student looking for a chance to demonstrate and fine-tune some classroom skills in a real-world work setting. Ask for an interview to discuss how you might be able to work as an intern, exchanging your skills and knowledge to help their business for college credits needed to complete your degree or certificate. Register in Cardinal Career Connect: Many Skagit Valley companies use this system to post internships. For more information, please visit the Cardinal Career Connect homepage. Talk to the Cooperative Education Coordinator: He can provide you with help in your job-search techniques, offer advice and possibly refer you to businesses seeking interns in your career area. Since finding your job site is your responsibility, begin the process as early as possible and keep accurate lists of contacts, references and referrals. And share them with your fellow students by networking effectively! Whidbey Island students who prefer a face-to-face meeting may ask for a meeting to take place at the Whidbey Island Campus. What I hear, I conceptualize. What I read, I understand. But what I do becomes part of who I am. Finding a place to perform your Cooperative Education experience can be the most challenging step in completing yor degree program. You'll need the very same skills you would use to find any job to find your internship. If your skills could stand some improvement, contact the nice people in Career Services, who can give you tips on where to look, creating an effective resume, preparing for a job interview and more. Located in the Counseling & Career Center on the Mount Vernon campus, we're with you every step of the way! Call (360) 416-7684 for an appointment.